21 Tips to Increase Instagram Engagement in 2019. Instagram has continued to expand in 2018, with over 13% of everyone on Earth now using the platform. It has also continued to prove itself as a huge source of ad revenue, with Instagram ads expected to generate nearly $11 billion in 2019. 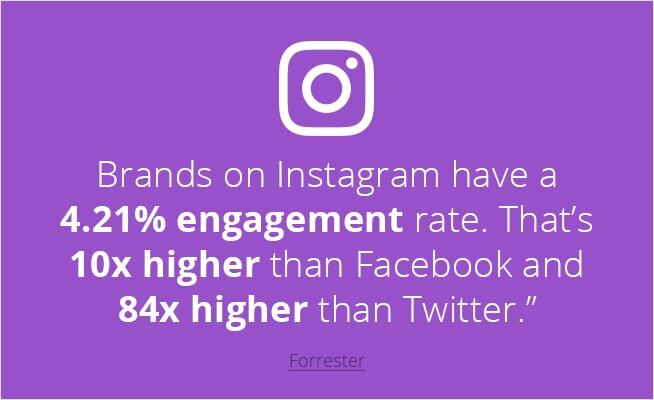 With impressive figures like that, it’s no wonder that many analysts are starting to see Instagram as the new engine behind Facebook’s growth as a company. It’s also the medium that clearly inspired Instagram to create its own riff on the GIF – the Boomerang – which records a short sequence of stills before combining and then looping them backward and forward, ready for upload to Instagram. The tool has already produced some excellent results for brands who have experimented with the young medium to increase Instagram engagement. With over 2,623 emojis available, it is essential to create a strategy on how to use emojis that captures your brand without looking too informal. 31 Must Know Video Marketing Statistics [Infographic].